This guide is a walk-through on how to setup Ubuntu Server for hosting Django websites. The Django stack that will be used in this guide is Ubuntu, Nginx, Gunicorn and Postgres. This stack was chosen solely from the reading I’ve done and talking to other Django developers in order to get their recommendations. This stack seems to be one of the latest “standard” stacks for Django deployment. This guide also assumes that you’re familiar with Ubuntu server administration and Django. I needed an example site for this guide so I chose to use my Django Base Site which is available on Github. Under the settings for your VM in VirtualBox click on the “Network” tab and then click on the “Port Forwarding” button. Now click on the plus and add the following settings to setup port forwarding for web and ssh. The reason we are setting up a generic deploy user is so that if you have multiple developers who are allowed to do deployments you can easily add the developer’s SSH public key to the deploy user’s/home/deploy/.ssh/authorized_keys file in order to allow them to do deployments. Django is a full-featured Python web framework for developing dynamic websites and applications. Using Django, you can quickly create Python web applications and rely on the framework to do a good deal of the heavy lifting. 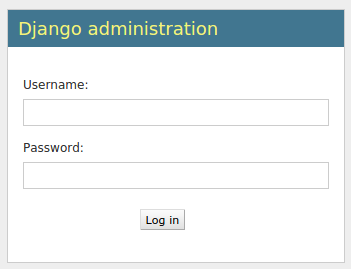 In this guide, we will show you how to get Django up and running on an Ubuntu 14.04 server. After installation, we’ll show you how to start a new project to use as the basis for your site. There are a number of different ways in which you can install Django depending upon your needs and how you want to configure your development environment. These have different advantages and one method may lend itself better to your specific situation than others. Global Install from Packages: The official Ubuntu repositories contain Django packages that can be installed easily with the conventional apt package manager. This is very simple, but not as flexible as some other methods. Also, the version contained in the repositories may lag behind the official versions available from the project. Global Install through pip: The pip tool is a package manager for Python packages. If you installpip, you can easily install Django on the system level for use by any user. This should always contain the latest stable release. Even so, global installations are inherently less flexible. Install through pip in a Virtualenv: The Python virtualenv package allows you to create self-contained environments for various projects. Using this technology, you can install Django in a project directory without affecting the greater system. This allows you to provide per-project customizations and packages easily. Virtual environments add some slight mental and process overhead in comparison to globally accessible installation, but provide the most flexibility. Development Version Install through git: If you wish to install the latest development version instead of the stable release, you will have to acquire the code from the git repo. This is necessary to get the latest features/fixes and can be done globally or locally. Development versions do not have the same stability guarantees, however. With the above caveats and qualities in mind, select the installation method that best suites your needs out of the below instructions. If you wish to install Django using the Ubuntu repositories, the process is very straight forward. This means that the software was successfully installed. You may also notice that the Django version is not the latest stable. To learn a bit about how to use the software, skip ahead to learn how to create sample project. As you can see, the version available through pip is more up-to-date than the one from the Ubuntu repositories (yours will likely be different from the above). Perhaps the most flexible way to install Django on your system is with the virtualenv tool. This tool allows you to create virtual Python environments where you can install any Python packages you want without affecting the rest of the system. This allows you to select Python packages on a per-project basis regardless of conflicts with other project’s requirements. This will install a standalone version of Python, as well as pip, into an isolated directory structure within your project directory. We chose to call our virtual environment newenv, but you should name it something descriptive. A directory will be created with the name you select, which will hold the file hierarchy where your packages will be installed. Your prompt should change to reflect that you are now in your virtual environment. It will look something like (newenv)username@hostname:~/newproject$. If you need a development version of Django, you will have to download and install Django from its gitrepository. Note that you can also combine this strategy with the use of virtualenv above if you wish to install a development version of Django in a single environment. Now that you have Django installed, we can show you briefly how to get started on a project. This will create a directory called projectname within your current directory. Within this, a management script will be created and another directory called projectname will be created with the actual code. You will be asked to create an administrative user as part of this process. Select a username, email address, and password for the user. You will be prompted for a username, an email address, and a password for the user. When you are finished looking through the default site, you can stop the development server by typingCTRL-C in your terminal. The Django project you’ve created provides the structural basis for designing a more complete site. Check out the Django documentation for more information about how to build your applications and customize your site. You should now have Django installed on your Ubuntu 14.04 server, providing the main tools you need to create powerful web applications. You should also know how to start a new project and launch the developer server. Leveraging a complete web framework like Django can help make development faster, allowing you to concentrate only on the unique aspects of your applications. Django is often the one-shop-stop for all things Python; it’s compatible with nearly all versions of Python, comes prepackaged with a custom server, and even features a one-click-install database. Setting up a vanilla system without this powerful tool can be tricky, but earns you invaluable insight into server structure from the ground up. We would like to have python run Python 3. So first, let’s remove the old 2.7 binary. First, update the system’s package index. This will ensure that old or outdated packages do not interfere with the installation. This setup will take you through a series of self-explanatory steps. First, you’ll need to enter the root password you picked a moment ago. The first question will ask if you want to change the root password, but because you just set it, enter n. For all other questions, press ENTER to accept the default response. We want to place our website’s root directory in a safe location. The server is by default at/var/www/html. To keep convention, we will create a new directory for testing purposes, called test, in the same location. This Directory block allows us to specify how Apache treats that directory. It tells Apache that the/var/www/test directory contains executables, considers index.py to be the default file, then defines the executables. We also want to allow executables in our website directory, so we need to change the path forDocumentRoot, too. Look for the line that reads DocumentRoot /var/www/html, a few lines below the long comment at the top of the file, and modify it to read /var/www/test instead. Note: Apache 2 may throw a warning which says about the server’s fully qualified domain name; this can be ignored as the ServerName directive has little application as of this moment. They are ultimately used to determine subdomain hosting, after the necessary records are created. First, let’s create a database. Log in to MySQL. You’ll need to enter the MySQL root password you set earlier. Add a table for some example data that we’ll have the Python app add. However, in its current state, the server is vulnerable to outsiders. Whereas elements like SSL encryption are not essential to your server’s function, they are indispensable resources for a reliable, safe server. Learn more by reading about how to configure Apache, how to create an Apache SSL certificate and how to secure your Linux server.